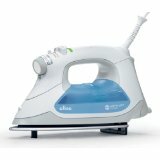 Oliso Steam Irons Buyers Guide. Includes the patented Auto Lift System which helps to prevent burns by automatically lifting and lowering the iron at the touch of a hand. If unused for 8 minutes or tipped for 30 seconds it will automatically shut itself off. Comes with a refill cup to add water to the extra large water tank. Get crisp pockets and cuffs and close contact with buttons with the Detailer. Unit is self-cleaning, has an anti-drip system, and an electronically controlled soleplate. 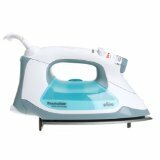 Steam iron has 1440 watts of power to apply even heat and includes a soleplate that is nonstick for easy ironing without sticking. If the iron sits idle for 8 minutes the unit will automatically shut itself off. Prevents burns with the Auto Lift feature that is triggered by the Smart Touch handle. 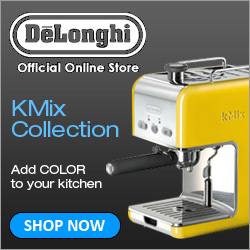 Can be adjusted to be used with nylon to wool fabrics. 12 ounces of water can be held in the steam tank. Iron has a limited one year warranty.